Tim Paine's wife, Bonnie Paine took to her social media to post a picture with her kids which was captioned, "Best babysitter". Who knew what was said as an on-field banter would actually go on to become a hilarious reality? Rishabh Pant and Tim Paine were involved in a fun sort of sledging during India’s ongoing test series against Australia – the episode made headlines across the two nations. 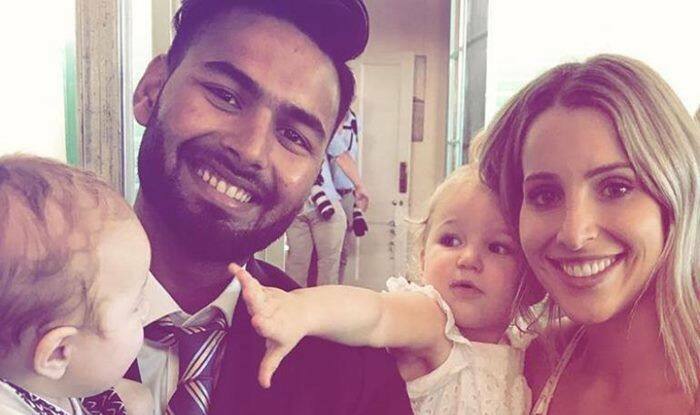 After the Australian test skipper’s babysitter remarks, India’s wicketkeeper-batsman actually turned babysitter on the occasion of new year’s eve in Sydney. Tim Paine’s wife, Bonnie Paine took to her social media to post a picture with her kids which was captioned, “Best babysitter”. This stemmed from Panie’s comments on Pant to Hurricanes in order to distract him – “Big MS (Dhoni) is back in the one-day squad too, we might get him (Pant) down to the Hurricanes… we need a batter. Fancy that, Pantsy? Extend your little Aussie holiday. Beautiful town Hobart too, I’ll get you a nice apartment on the waterfront. (I’ll) have him over for dinner. Can you babysit? I’ll take the wife to the movies one night and you’ll look after the kids,” he joked. Earlier in the third test, Kohli and his men outclassed the Aussies to register a historic victory at the Melbourne Cricket Ground (MCG). The Indian side won by a comprehensive 137 runs, with which they have taken a 2-1 lead in the four-match series. This also marked Indian cricket’s first time, to have taken a lead in a test series against Aussies in Australian soil. The Indian cricket team will now take to the field against the hosts in the final test of the series with a bid to seal a 3-1 win at the Sydney Cricket Ground. The final test will commence on January 3, 2019.